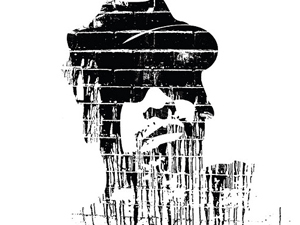 Check out artist & activist Immortal Technique in this thought provoking interview with RT. Filed Under: Nation of Billions Tagged With: #ows, activists, artist, business, capitalism, change, creators, democracy, disruption, documentary, economy, event, Felipe Coronel, Film, future, FUTURE FREQUENCY, global, globalization, GMO, harlem, hip hop, immortal technique, injustice, Interview, music, music biz, nation of billions, NYC, occupy wall street, politics, race, RAP, RT, shift, society, surveillance, systems, technology, thinking, u.s. Since Fashion Week just kicked of in NYC this week, here’s a stat for you to chew on. According to a 2008 survey about models in New York Fashion Week, the split was 6% black, 6% asian, 1% latina and 87% white. Models of color have terrible odds when it comes to landing jobs in the fashion industry and more and more people as asking why they are so unfairly underrepresented. M.I.A. takes it to Morocco for her new song & video Bad Girls, filled with lots of car and other stunts in the middle of the desert. Are you feeling this? 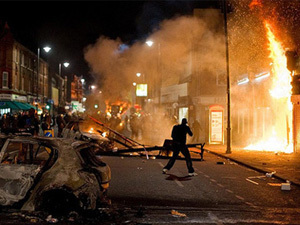 Today marks the third day of rioting and clashes between people and the police in various neighborhoods around London. The unrest was sparked by an incident that led to the killing of a man, Mark Duggan last week by police. The details of the encounter are unclear but it is reported that it was an arrest attempt gone wrong and the officers were armed with Heckler & Koch submachine guns. This has got to be one of illest mountain bike street races you’ve ever seen. The ride is downhill and all shot in the first person by the rider in a race that took place in 2010 in Valparaiso, Chile. Hold on and watch out for the dog!